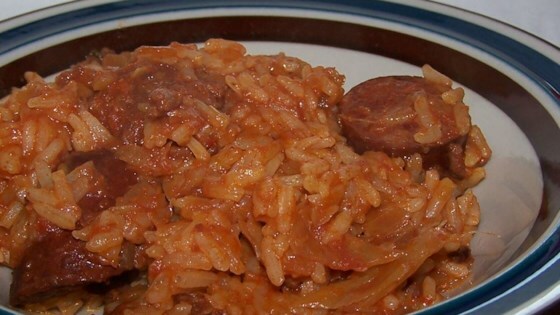 "Ground beef, cabbage, onion, rice and tomato sauce are combined in a slow cooker." In a slow cooker, combine ground beef, onion, rice and cabbage. Pour in tomato sauce. Season with parsley, salt and pepper. Mix well, and cook on low, for 6 to 8 hours. Simple, no-fuss corned beef and cabbage simmers slowly all day. Yummy. This is real comfort food for a rainy day. I added garlic powder and a little seasoned salt. I used brown rice instead of white. I mixed the cabbage the last 1/2 hour so it was not mushy. I've seen a different version of this meal which included 1/4 to 1/3 cup brown sugar which makes it really yummy.